Were you expecting balance and hard fight? Wrong way: the first ten minutes in the game were characterized by the absolute dominance of Spain. Not just goals, but also their way of playing with Mayte Mateo leading the team both in attack and defense and scoring the match opener at minute 3. The spanish show was just started: Anita Lujan increased the lead after two more minutes and Amelia Romero's free kick proved too strong for Ana Catarina: 3-0. The data is quite clear: Spain didn't suffer any goals in Gondomar. 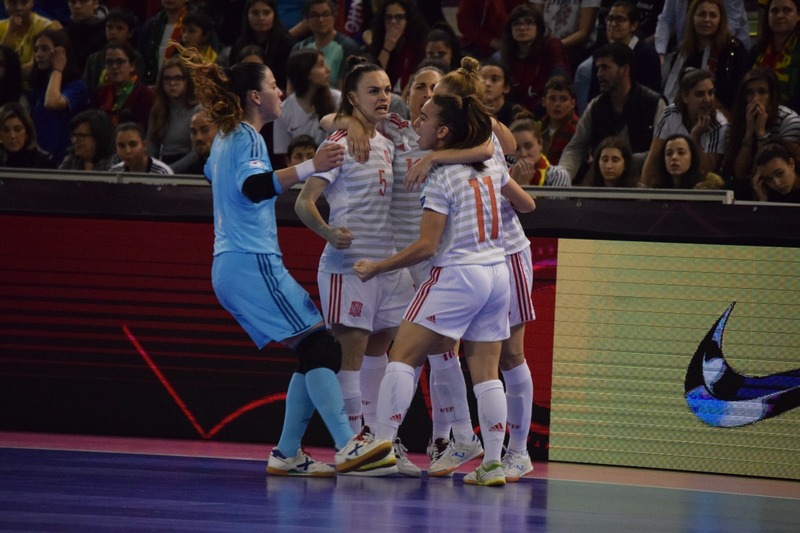 A defensive masterpiece by Claudia Pons's girls who definitely deserved the first ever UEFA Futsal Women's EURO title. And that's the story of the second half, in which every desperate attempt by Portugal was denied by Berta Velasco and mates, also relying on a brilliant performance by Silvia in the goal. Not even the last option proved to be good for Luis Conceicao's team. Spain did almost no mistakes at all and could close the game in a definitive way when Vane Sotelo scored with Pisko in the lusitan goal. Time to celebrate the European Women's Champions: SPAIN!